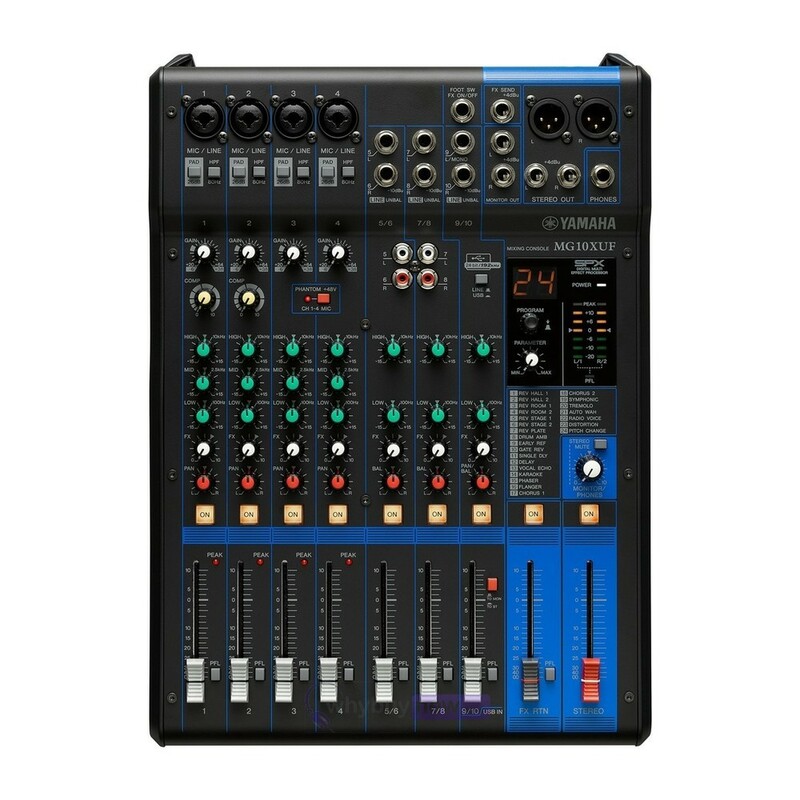 The Yamaha MG10XUF is a compact, 10-channel mixer in Yamaha's MG Series. 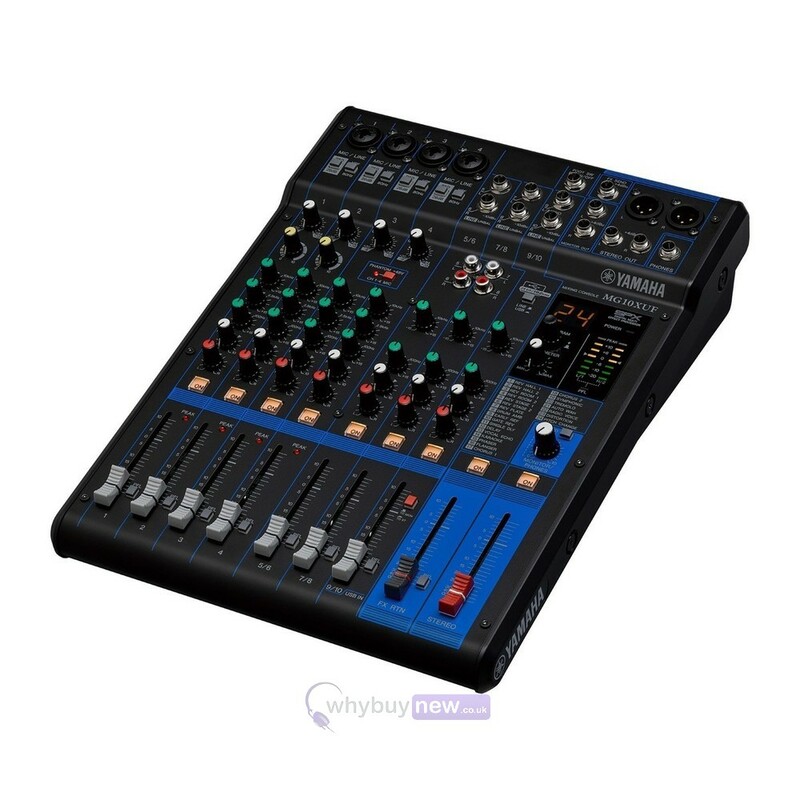 Featuring an easy to use interface and professional quality components, it is perfect for both recording and live applications. The impressively broad frequency range of the studio-quality D-PRE preamps allows them to process signal from any audio device and produce a clean, refined sonic background, minimising the need for EQ and effects. 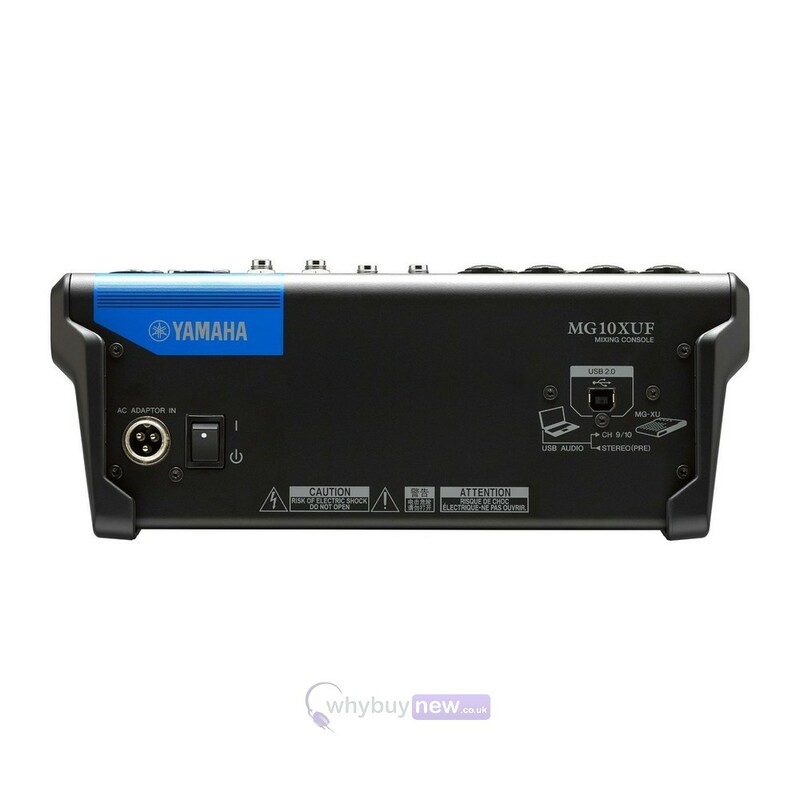 The MG10XUF also features +48V switchable phantom power, enabling you to use condensor mics for superior sound quality, and a PAD switch which reduces the force of high input signals (e.g. 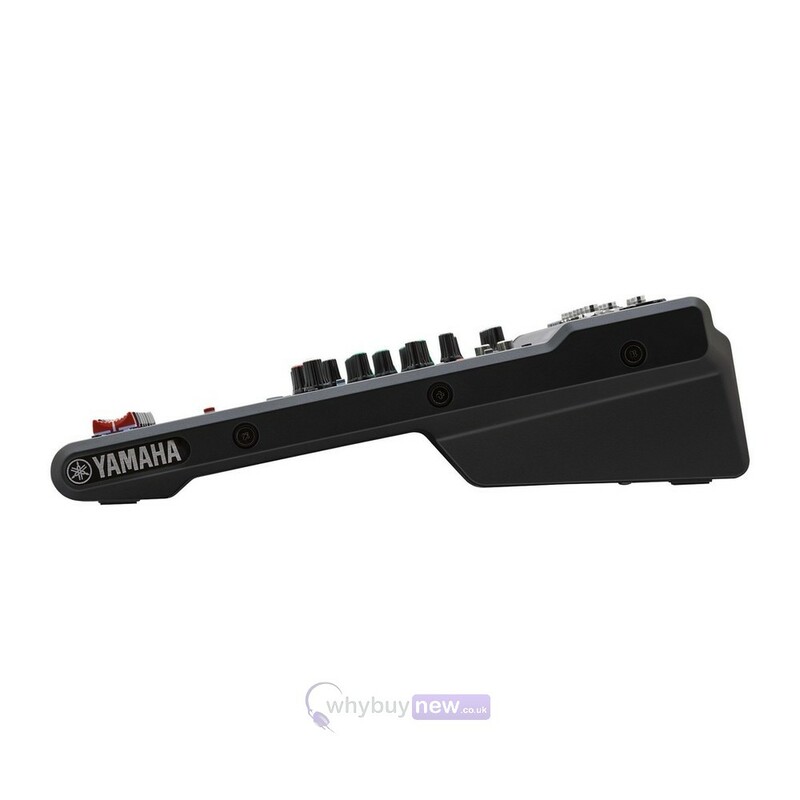 from mic'd instruments) to prevent clipping in the mix. 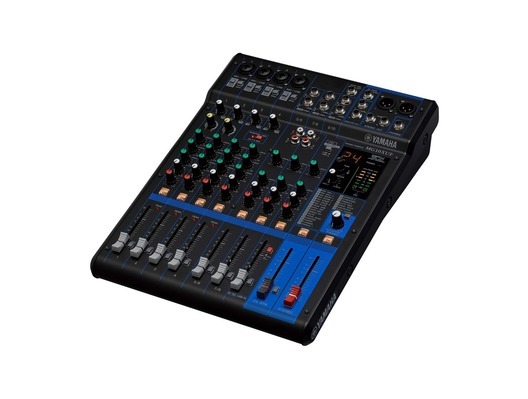 The included rack mount kit means that you can swiftly set up your mixer in a variety of settings, either installed and mobile.